In our June 2016 NewsFlash, we reported on OSHA’s Final Rule published May 11, 2016 titled "Improve Tracking of Workplace Injuries and Illnesses." One of the provisions that has caused employers a lot of concern is OSHA’s position that "drug testing policies should limit post-incident testing to situations in which employee’s drug use is likely to have contributed to the incident, and for which the drug test can accurately identify impairment caused by drug use." OSHA clarified that drug testing to comply with the requirements of a state or federal law or regulation would not be a retaliatory motive and the Final Rule does not prohibit such testing, but since mandatory post-accident drug testing is conducted by the majority of employers (with or without regard to whether drug use was suspected), many employers have viewed OSHA’s Final Rule as a significant change to their drug testing practices. In the October 2016 Memo, OSHA states that "drug testing conducted under a state workers’ compensation law or other state or federal law" will not result in an OSHA citation. Since most state laws allow post-accident drug testing, this seems to be the clarification employers are looking for, but not so fast. OSHA goes on to state that OSHA continues to prohibit drug testing employees for reporting work-related injuries or illnesses without an objectively reasonable basis for doing testing. So employers must still have a "reasonable basis" for drug testing an employee who reported a work-related injury or illness. • whether the employer has a heightened interest in determining if drug use could have contributed to the injury or illness due to the hazardousness of the work being performed when the injury or illness occurred. While this seems to add some clarification, the October 2016 Memo goes on to state that (for purposes of determining whether an employer had a reasonable basis for drug testing an employee), "OSHA will only consider whether the drug test is capable of measuring impairment at the time the injury or illness occurred where such a test is available … [and only] tests that measure alcohol use, but not … tests that measure the use of any other drugs" are capable of measuring impairment at the time of the injury or illness. According to OSHA the "general principle here is that drug testing may not be used by the employer as a form of discipline against employees who report an injury or illness, but may be used as a tool to evaluate the root causes of workplace injuries and illness in appropriate circumstances." Example #2 - Drug testing an employee whose injury could not possibly have been caused by drug use would likely violate [OSHA’s anti-retaliation rules.] For example, drug testing an employee for reporting a repetitive strain injury would likely not be objectively reasonable because drug use could not have contributed to the injury. And [OSHA] prohibits employers from administering a drug test in an unnecessarily punitive manner regardless of whether the employer had a reasonable basis for requiring the test. Many states offer employers a reduction in their insurance premiums of they adopt certain drug free workplace programs ("DFWP"). Although employers are not required to implement such DFWPs, if they choose to do so to reduce their insurance premiums, they must comply with the regulations of those statutes. Not every state’s DFWP statute has identical provisions, but even with the new rule in place, an employer that conducts post-accident drug tests consistent with the requirements of a state’s DFWP statute will not be found to be in violation of OSHA’s new rule. Employers should take time to review any post-injury drug testing procedure to ensure such procedure meets the guidance in the Final Rule and cannot be viewed as retaliatory action against employees for reporting work-related injuries or illnesses. 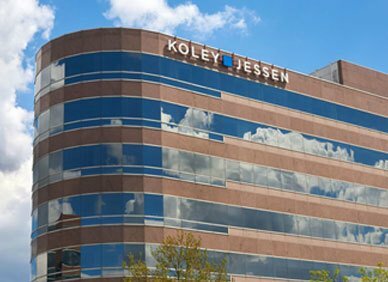 If you need assistance with such a review, or any other matter concerning your employees, please contact a member of Koley Jessen’s Employment, Labor and Benefits Practice Group.